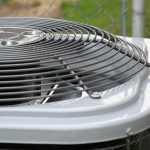 Shopping Tips: Looking to Buy a New Air Conditioner? Is your current air conditioning system no longer keeping the house comfortable? Or, it is an older system nearing at the end of its lifecycle? The idea of purchasing a new air conditioning system is overwhelming. We’ve provided some shopping tips. Bigger is not always better. We know bigger is better in Texas, but not in this case. Sure, oversized air conditioners may cool the house down faster, but they short cycle, meaning they turning on and off much more frequently. This short cycling prohibits the system from effectively removing moisture from the air, while making your system run very inefficiently. Humid air will feel less comfortable, making it necessary to run your system longer and harder to provide comfort. An inefficient system also costs more in utility bills, while a system that is running longer and harder will see a decrease in lifespan. Don’t forget the Ductwork. If you install a super high-efficiency system on a duct work system that leaks, it could lose up to 25 to 40 percent of its efficiency. That’s your money blowing around. A good duct system should balance the air in the house so that every room is about the same temperature and the proper amount of air flows to each room. If you have hot rooms, or cold rooms, then your duct system is probably not balanced properly. Also, the ductwork needs to be insulated and sealed properly to make sure it delivers the air with the least amount of loss. Installation Matters. The most important day in the life of your air conditioner is the day that it is installed. How the system is installed is critical to the efficiency and longevity of the unit. Proper installation procedures will ensure that there is no moisture left in the system and that the refrigerant charge is proper. If a proper vacuum is not pulled on the system during installation, it could cause premature compressor failure. If a proper refrigerant dryer is not installed in the refrigerant system, it could also cause premature compressor failure. If the blower speed is not set properly it can cause vents and/or the unit to sweat. It is critical that you choose an air conditioning contractor that will install your system properly. Let Air Specialist be the Houston area air conditioning contractor to work with you to make sure you have the right sized air conditioner, proper and efficient duct work and the most accurate installation to keep you cool during this hot summer season.